I suppose. 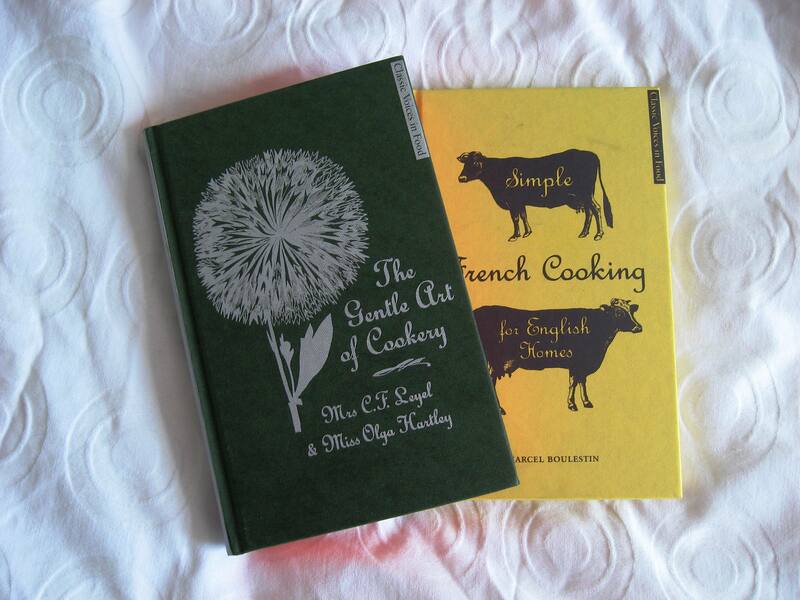 The two books ‘Simple French Coooking for English Homes’ & ‘The Gentle Art of Cookery’ were both published initially in the 1920’s and push against the grain of what a modern cookery book actually is. Today’s books have weights & measurements for just about everything in their recipes, even to the point where there are notes about the sizes of eggs used. These two books take me back to the days of my training & pouring over La Repetoire de la Cuisine prior to being assessed at College. 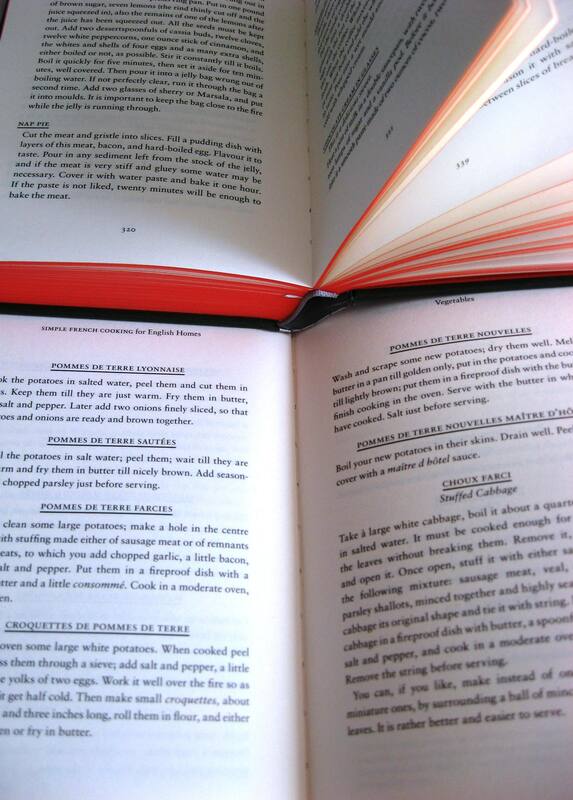 There are few if any measurements in either book, but instead they give you an insight to technique & flavour combinations which are still used today in some kitchens. With quotes on the rear outside covers from Michel Roux Snr & newly starred Skye Gyngell and introductions written by award winning cookery book author Jill Norman, just shows how important these pieces of culinary literature are. Beautifully presented in hardback with coloured edges to the pages they can be easily picked up for that moment of required inspiration, or maybe it goes deeper than that. I urge young chefs to at least have a glance through these books, whilst they aren’t a replacement for ‘La Repitoire’, they are a good place to start when trying to understand combining foods & flavours. The recipe from ‘The Gentle Art of Cookery’ for Vegetable Stew with Barley says it all really. Fry some onions, carrots, turnips, celery, tomato and potatoes which have been cut up small, in butter. Put them all into a double saucepan with a handful of pearl barley and a bouquet of herbs. Stew gently, till the barley is cooked. Serve with sippets of bread. Most Commis or Chef de Parties wouldn’t know what a sippet is, let alone contemplate this dish. Not because it is too vague but because it is deemed to be beneath them. A Recipe book to be kept by the bed, dipped into at leisure, and to be carried through your life in the kitchen…A Complete treat. This easy-to-use book on basic pretention-free French food from the first television chef shows that everything goes in circles! If you’d like a break from the run of the mill Jamie & Gordon seasonal offerings, consider these two instead. Somebody once told me that a recipe is only a guide, not a structured regimented way of cooking. These books will only aid that course of free thinking. ← Von Essen, lets hope the end is nearly in sight….